It's hard not to hear the voices. With so many Americans overweight—about two-thirds of us, actually—we're constantly bombarded with messages to lose weight. But you've already heard that. And you've already heard that diet and exercise are the keys. Yet sometimes making the right choices when it comes down to the nitty-gritty of implementing a fat-loss plan can be confusing, especially when some of the recommendations seem counterintuitive. Like the idea that moderate-rep resistance training is better for far loss than using a lighter weight for more reps.
Let's dispense with what you already know about fat loss and focus on what you don't know. Grasp these eight underrated fat-loss tips and you'll be that much closer to beginning—and completing—your own transformation. Resistance training is an important component of a successful fat-loss strategy, but choosing a lighter weight in order to do more reps is a mistake. Maintaining or encouraging muscle growth while trying to lose fat is important because muscle tissue is metabolically active, meaning it burns a greater number of calories all day long, even when you're at rest. To build and retain as much muscle tissue as possible while dieting, train with moderately heavy weight in the 8-12-rep range. Light weight—even when done for more reps—doesn't encourage maximal muscle size. But that's not all. Lifting with moderately heavy weight does a better job of elevating your metabolism for up to 24 hours after your workout. This effect—called excess post-exercise oxygen consumption, or EPOC—burns significantly more calories than a workout using lighter weight. So just because you may be able to do more reps with a lighter weight doesn't mean you're achieving a greater benefit. Stick with multijoint movements (squats, bench presses, rows, etc. ), which are the most energy demanding because they require multiple muscle groups to work in coordination. These types of moves also better trigger your natural release of testosterone and growth hormone, both of which help you maintain and build muscle mass. Stick with multijoint movements, which are the most energy demanding. If you're looking to increase your intensity and burn more calories, try supersets in which you do two exercises back to back without resting until you complete both movements. This will keep your heart rate elevated and shorten the length of your workout. While jumping on the bike or treadmill for 20-30 certainly can't hurt, not all cardio strategies are created equal. A leisurely, low-intensity approach is comfortable, of course—it gives you a chance to catch up on your favorite TV shows—but you can burn significantly more body fat in the same amount of time with high-intensity interval training (HIIT).1,2 HIIT allows you to burn more calories both during the activity period and afterward, thanks to the EPOC mechanism. As the name suggests, HIIT is an intense method of training that alternates short bouts of near-maximal cardio activity (30 seconds) with less-intense recovery intervals (about 30-60 seconds). As your fitness improves, lengthen the work interval and shorten the recovery period. HIIT can be done using just about any cardio apparatus, or even outdoors with sprints. Do it 2-3 times a week for about 30 minutes per session. HIIT can be done using just about any cardio apparatus, or even outdoors with sprints. Jim Stoppani, PhD, author of "Jim Stoppani's Encyclopedia of Muscle & Strength," calls this method cardioacceleration, and his recommendation is to do 30-90 seconds of high-intensity cardio activity between sets of regular weight training.4 By the end of your workout, you'll have completed a full cardio session of high-intensity cardio, similar to a HIIT session, without adding time to your overall training session. This type of activity doesn't require a treadmill or cardio machine, but can instead be done with activities like bench step-ups, dumbbell cleans, or even running in place. Start with 30 seconds of activity and build up in 15-second increments as you improve. Whatever you do, don't just sit there! Today, Americans eat out almost twice as often as they did 30 years ago. While you can make healthy choices when eating out, research indicates just how hard that is to do. A study published online at Public Health Nutrition found that those who cook dinners at home no more than once a week ate 137 calories a day—about 6.3 percent—more than those who cooked dinner at home 6-7 times a week.5 By dining at home, you'll save money and have more control over the ingredients you use. Restaurants also tend to serve larger portion sizes. By dining at home, you'll save money and have more control over the ingredients you use. Here's a dietary sin you've probably committed: going grocery shopping while hungry. Cravings affect your choices, and you end up with a bagful of junk foods you otherwise wouldn't have bought. By eating before you leave the house, making smart decisions becomes much easier. The mall, the movie theater, parties, and barbecues can also be diet saboteurs. Whenever possible, have a healthy meal or snack beforehand, to help you avoid temptation. That way I'm not hungry enough to give into the temptations of buttery popcorn or other junk. It's much easier to resist impulsive choices of nutritionally empty foods when you're belly isn't likewise empty. By eating before you leave the house, making smart decisions becomes much easier. If you're a meat-and-potatoes kind of guy, you can easily justify those foods for the protein and starchy carbs they provide to fuel muscle growth. But if you're looking to get leaner, reduce your carb intake by simply substituting a veggie for a complex or starchy carb. This will save you a handful of calories every time you make the switch. Try a salad with a low-cal dressing instead of mashed potatoes, or eat your grilled chicken sandwich without the bun and add a couple of tomatoes slices. Non-starchy veggies help fill you up while adding minimal calories. Would you believe that about 37 percent of your daily calories have been hiding in sodas and fruit juices?6 That's pretty sobering news—and an opportunity to make a big dent in your daily totals. 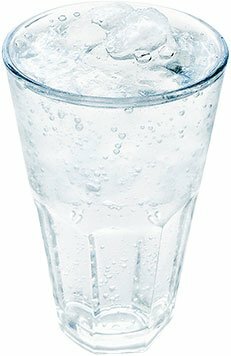 Cut out a slew of calories from the worst kind of sources—sugary drinks and fructose that spike insulin levels—by drinking water instead. If that's not flavorful enough, squirt Mio or Crystal Light into you water bottle to add flavor, and drink up. Sugar-free alternatives are better for your waistline than sugary drinks, so long as you don't assume that diet colas allow you to consume more calories elsewhere in your diet. I find it easier to stick with a program when I'm fully committed to it. I don't have a problem with commitment, but like most people, I have a problem getting started. But after following a plan for a few days, making the right choices becomes easier. Getting back on the wagon after falling off is tough. One trick I've found that works for me is to start my week on Sundays, not Mondays. The gym isn't crowded, and I'm not rushed at home, so I can eat when and what I want. When Monday's chaos inevitably arrives, I've already got a perfect day under my belt, so I'm less likely to blow off my training or grab a fast-food meal. String together a couple of good days, and your chances of success skyrocket. Davis, W. J., Wood, D. T., Andrews, R. G., Elkind, L. M., & Davis, W. B. (2008). Elimination of delayed-onset muscle soreness by pre-resistance cardioacceleration before each set. The Journal of Strength & Conditioning Research, 22(1), 212-225. Stoppani, J. (2006). Encyclopedia of muscle & strength. Human Kinetics. Wolfson, J. A., & Bleich, S. N. (2015). Is cooking at home associated with better diet quality or weight-loss intention? Public Health Nutrition, 18(08), 1397-1406.